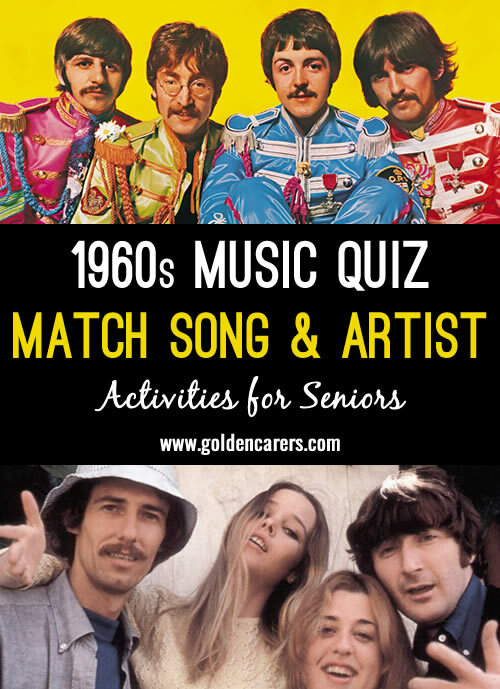 Match the song titles with the artist or band that performed them. OH my goodness we did this yesterday and they loved it. We played the a bit of the song first and then they tired to remember the name and the artist. Was quite fun!! We are going to download sound bits to our ipod and use it with the quiz. Everyone was singing out loud to the songs. This is so great to hear! Thanks for your feedback Waldon!